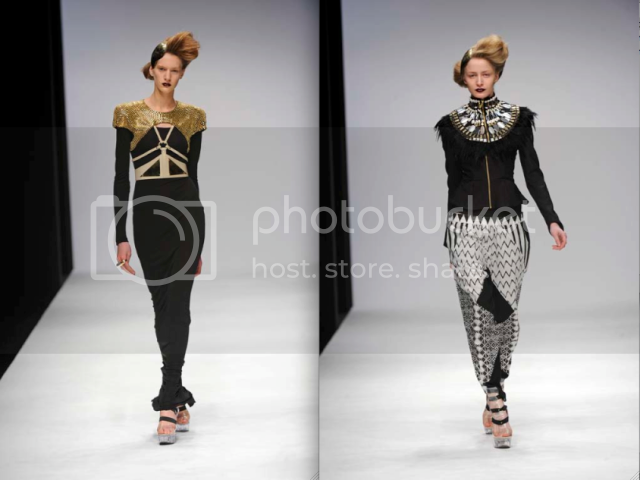 The Australian brand, Sass & Bide have a trademark style that is always at the core of their appeal. Built upon a palette of black and white with gold and bronze detailing, the collection calls to mind body armour, strong detailing, shouldered, and breast plates. The beading and embellishment, stones, shells, and studs makes the stunning series wearable but cool tribal-inspired dresses. 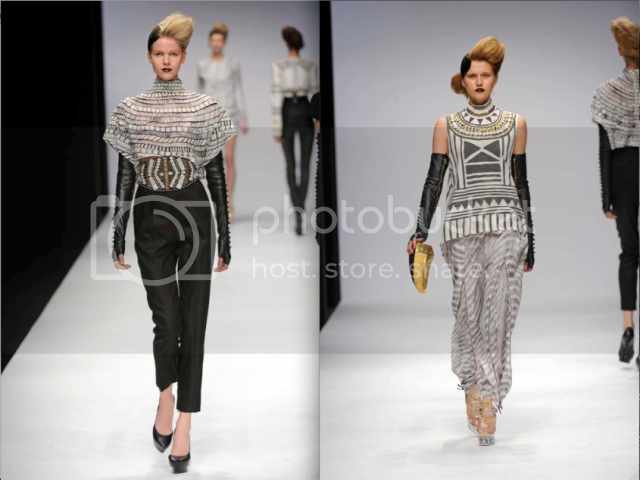 I don't know why, but the Sass & Bide A/W 2010 look is really reminding me of Daphne Guinness. I think it's the voluminous height of the hair (signature Daphne), plus the two-tone effect that the metallic headpiece creates. and if you look at the make up, a rich berry lip isn't the most original colour for A/W, but it works; against the minimal makeup palette, it looks flawless. What do you think of it all? Yes, I find myself liking the whole collection. What about you?